Six cars from the show amongst 200 lots (including Walter White’s briefs) heading to auction. With the finale in sight and the show picking up the Emmy for Best Drama last night, Sony has decided it’s time to sell off the props from Breaking Bad including the characters’ cars. From Saul Goodman’s Hello Kitty phone to Hector Salamanca’s bell, there’s no shortage of memorabilia for fans to get excited over, but it’s the cars we’re interested in. The show’s protagonist Walter White’s early days saw him behind the wheel of the family’s Pontiac Aztek, an apt automobile for a lowly high-school chemistry teacher. 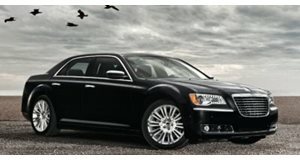 Fast forward a few cooks and with a shed loaded with drug money, the meth king gets himself a brand-new Chrysler 300 SRT8 and picks up a Dodge Challenger for his son. Partner-in-crime Jesse Pinkman’s beaten up Toyota Tercel hatchback, Walt’s wife Skyler’s classic Jeep Wagoneer and Hank Scrader’s wife’s VW Beetle are also up for grabs. Unfortunately the RV camper used as a rolling meth lab is not on the list of some 200 goodies that fans of the show can bid for.